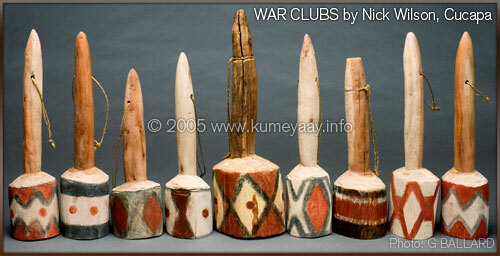 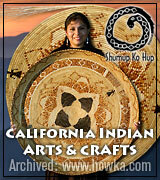 Nick Wilson, Cucapá, of Pozo de Arvisu Cocopah Indian Community, Sonora, Mexico, is a famous ethnographic artist for handcrafting traditional gourd rattles, peon sets, war clubs, bow & arrows, lances, willow bark skirts, baby cradles, and games in the ageless traditional Native California ways. 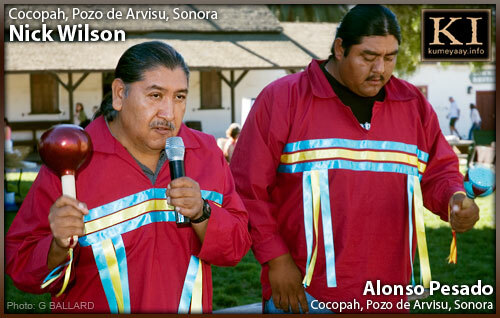 Nick Wilson is also a well-known Cucapá tribal bird singer, pictured above singing and shaking one of his hand-made gourd rattles with a fellow tribal member Alonso Pesado, during the 4th ANNUAL FIESTA in Old Town San Diego State Historic Park in November of 2005. 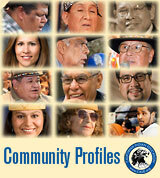 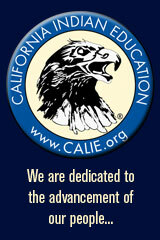 Nick Wilson is the community Tribal Leader and also sits on the city council of San Luis Rio Colorado, Sonora. 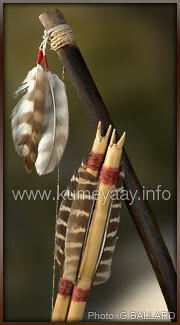 The Cucapá Indians are indigenous to Northern Baja California, Sonora, Colorado River delta region, Southern California and Southwest Arizona. 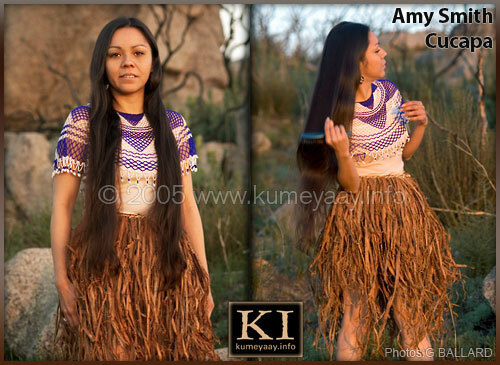 Young indigenous girl (Cucapa, El Mayor) models one of Nick Wilson's handmade authentic bark skirts.